Luxuriously warm and plush, this cowl infinity scarf is inspired by the Outlander novels and TV series. This is my adaption of Claire's cowl scarf. 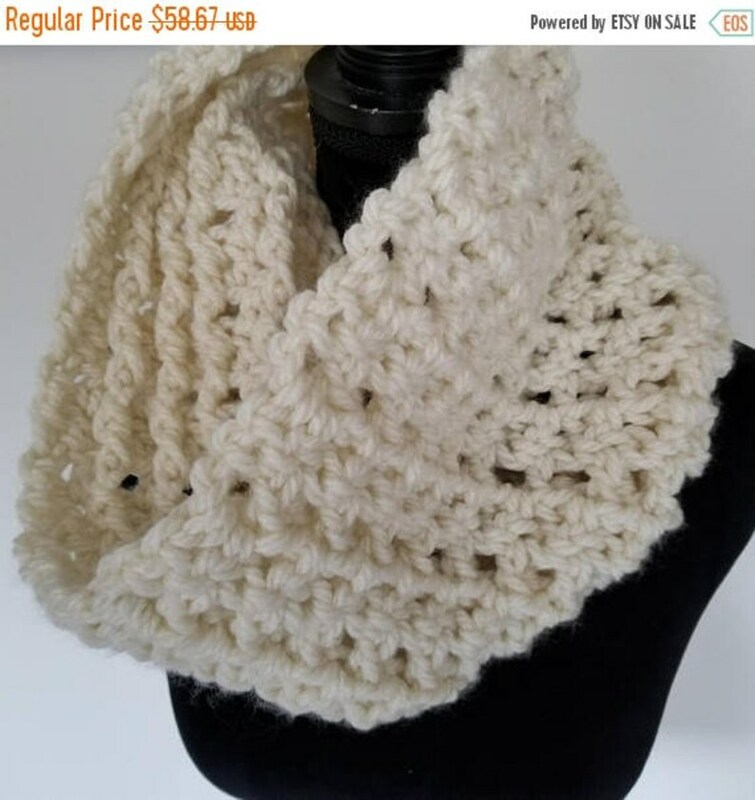 It is ultra warm crocheted with a super chunky soft yarn for those really cold days. This yarn is classic and timeless. Looks great peeking out from your coat or jacket. Exquisitely handcrafted in an acrylic yarn in an off-white shade. This scarf is also reversible with two unique stitch patterns (see pictures). Measures 30 inches in circumference and 11 inches in height. Please machine wash gentle and tumble dry low, gentle. Please allow approximately up to two weeks to crochet, as this is a custom order.